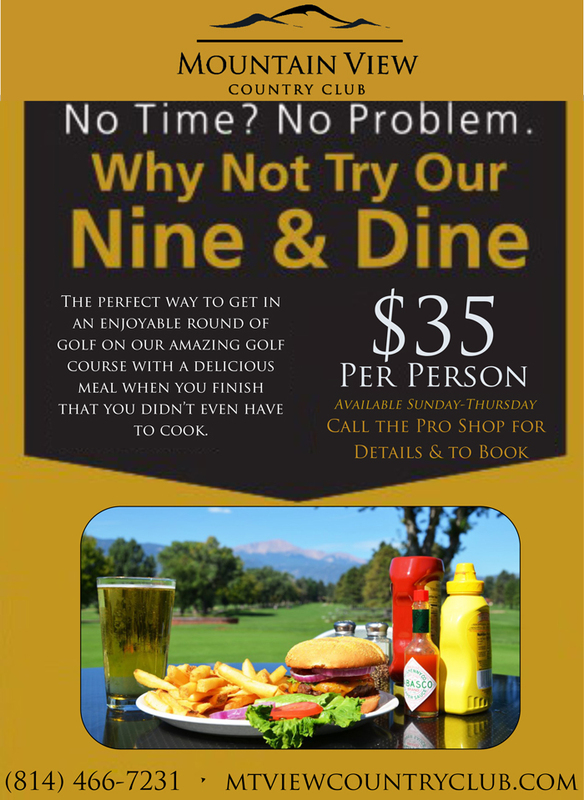 Includes 9 Holes of Golf with Cart and Dinner for Two with a Shared Appetizer, Two Entree Salads or Sandwiches, and Non-Alcoholic Beverage. Available after 3:30pm only. Offer cannot be used in conjunction with any other promotional coupons. Make Your Reservations by Contacting the Pro Shop at (814) 466-7231.